Rice Porridge with Apples is a very healthy and well known recipe. 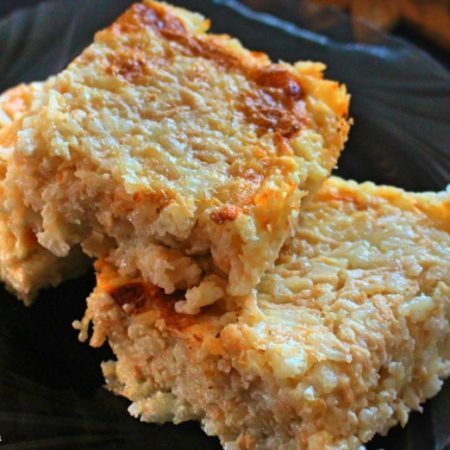 I have served it to my kids a couple of times and they loved it. 1.) Wash and dry your rice 3 times with cold water. In a large pot add your rice and milk, Place on a stove and bring it to a boiling point and let it boil for 15 minutes. Let your rice cool off. Continuing wash, dry, peel and shred your apples. Mix your apples with your sugar and then with your rice mixture. 2.) In a measuring cup mix together your vanilla sugar and heavy cream. Add half of your heavy cream mixture to your rice mixture and mix together well. 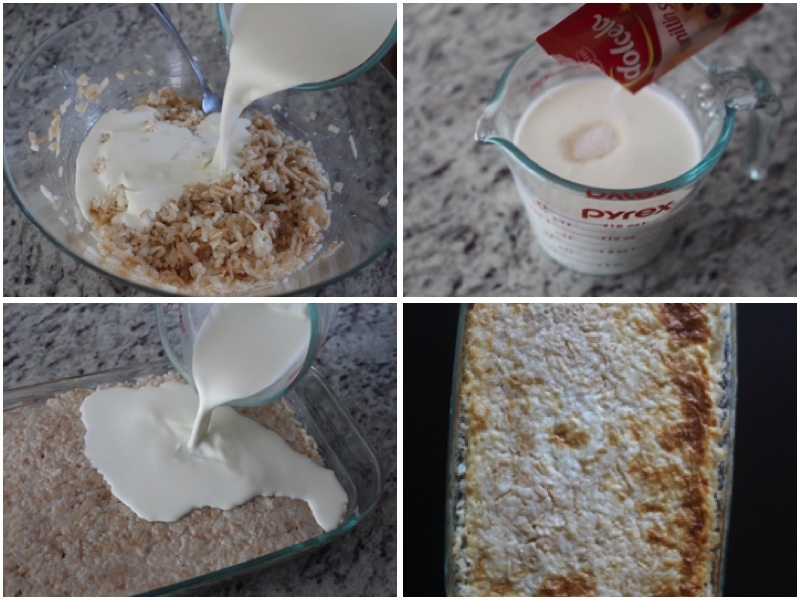 Compact your rice mixture into a glass baking pan and then add the rest of your heavy cream. Bake for 30 minutes on 375ºF. Let it cool on a cooling rack, cut, place on a serving dish and enjoy. Wash and dry your rice 3 times with cold water. In a large pot add your rice and milk, Place on a stove and bring it to a boiling point and let it boil for 15 minutes. Let your rice cool off. Continuing wash, dry, peel and shred your apples. 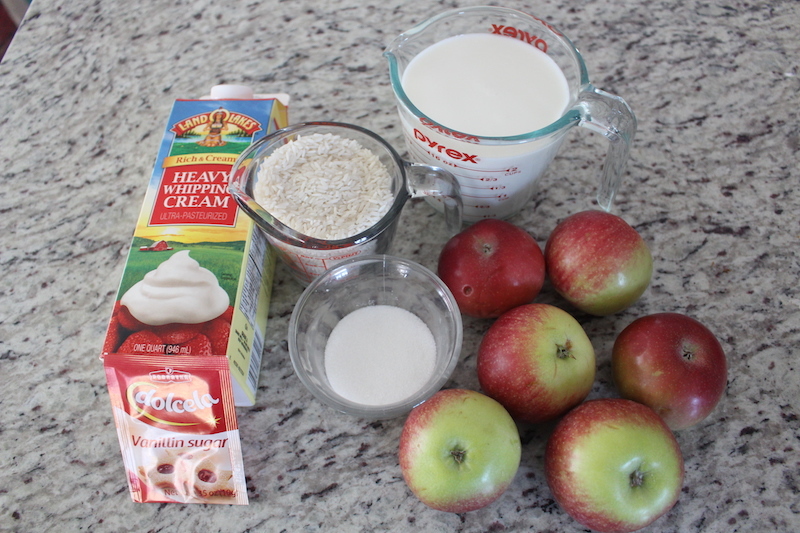 Mix your apples with your sugar and then with your rice mixture. In a measuring cup mix together your vanilla sugar and heavy cream. 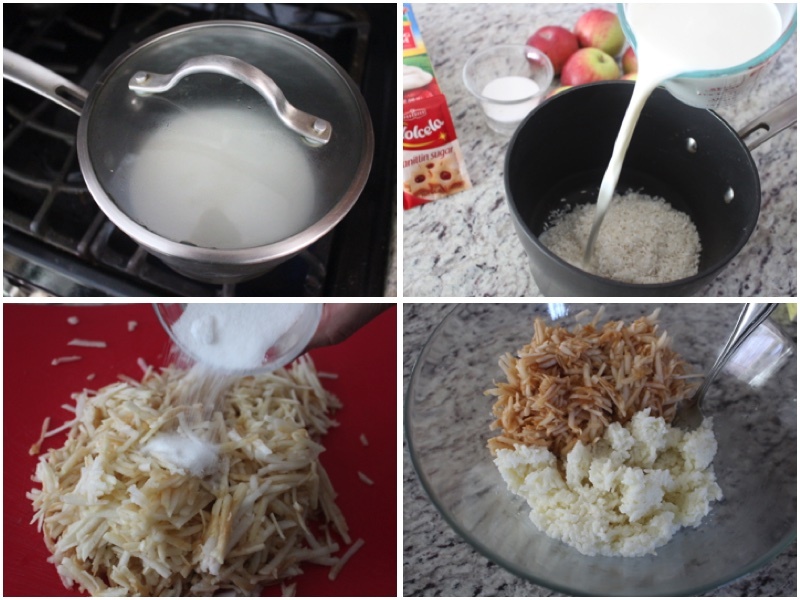 Add half of your heavy cream mixture to your rice mixture and mix together well. 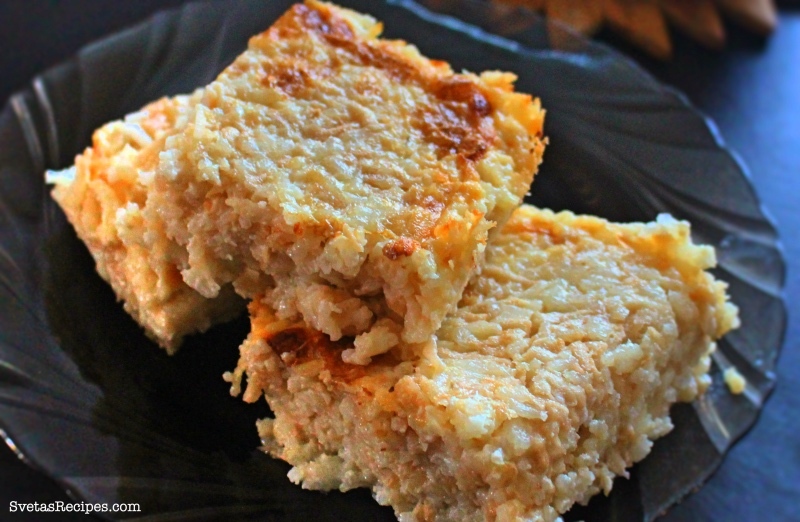 Compact your rice mixture into a glass baking pan and then add the rest of your heavy cream. Bake for 30 minutes on 375ºF. Let it cool on a cooling rack, cut, place on a serving dish and enjoy.